[Song] Zlatan ft. Naira Marley x Candy Bleakz – Owo Osu - NAIRAFAME | Best Entertainment Platform. 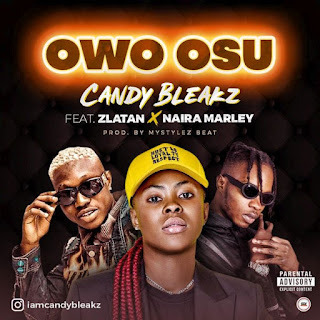 Street Billlionaires First lady Candy Bleakz, Kick start the year with a smashing street banger titled “Owo Osu” featuring the 2 hottest street act Zlatan and Naira Marley. This is the type of jam that would leave you dancing and losing all your home training.